Prominent & Leading Manufacturer from Mumbai, we offer pharmaceutical pulveriser cgmp and pharmaceutical blenders cgmp. Shubh Micro Pulverizer is compact, low cost, highly effective grinding mill capable of grinding variety of products from coarse to micro fine mesh. Material to be pulverised is crushed between high speed moving beaters and serrated liner and by impact between rapidly moving beaters and the particles itself, the energy of rapidly moving beaters dissipating itself into the particles being ground by virtue of their inertia, thus causing the particles micro fine size reduction. Free trials are available before placing orders. We provide complete solutions like dust free environment, automised feeding and collection of the product. The machine can be customised as per requirement. IQ, OQ, PQ, DQ are provided with test certificates. Simplified design and construction which is maintenance free. 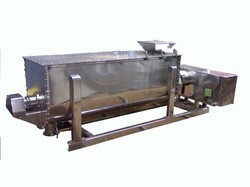 With the aid of latest machinery, we manufacture and supply the premium quality of Ribbon Blender. For mixing two or more powder in the most efficient manner, the rendered ribbon blender is used in pharmaceutical and food processing industry. Our clients can avail the rendered ribbon blender in various technical specifications. 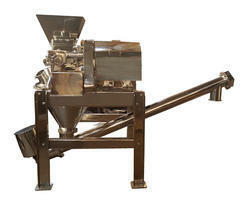 Looking for Pharmaceutical Pulverizer ?